While “fake pee” sounds lik­­­e an item novelty stores would sell for you to pull pranks on other people, the way it’s mainly used is far from amusing. As the name suggests, this substance resembles human urine and it is used to pass drug tests. Testing the urine is one of the most common methods to check whether a person used or is using drugs. Fake pee has been available for years but the variants available today are more advanced due to modern technology. It is nearly identical to the real thing which makes it more convincing. For people who are desperate to get clean results, they take the risk and use fake pee instead of their own urine. What is Fake Pee Made of? Fake pee is a substance created in laboratories to imitate real urine. It is also known as synthetic urine, fake urine, artificial pee, and laboratory urine. Synthetic urine mimics the appearance, composition, and chemical properties of human urine. 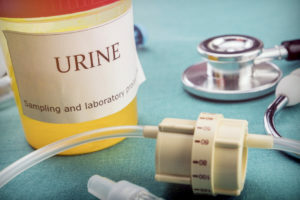 Just like­­ natural urine, artificial urine contains adequate amounts of creatinine, urea, uric acid, ammonia, nitrates, and sulfates. There are many different brands of artificial pee. The more sophisticated ones are even able to match the pH level, specific gravity, smell, color, and appearance of real urine. Synthetic urine is often sold as a powder or as a pre-mixed liquid solution. It usually comes in a kit that includes a container, heating pads to get the right temperature, thermometer strip, and some even come with a device to store the liquid inside your clothes. Why Do People Use Fake Pee? People use synthetic urine to pass a drug screening which is a common requirement in different institutions. One primary reason why people use fake urine is for employment purposes. Employers usually require drug screening to ensure that new applicants, as well as current employees, will be able to perform their jobs well. A failed drug test can cause employees to lose their jobs if drug use is against the company policy. Academic institutions also require drug screenings as part of their admission process. Many students use fake pee to cheat their drug tests to hide that they are using cannabis, opioid pills, and other substances. 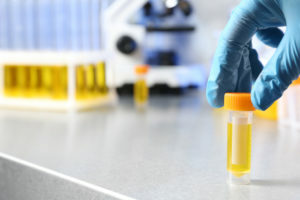 Athletes who are required to do urine drug tests before they are allowed to compete in a sporting event also use fake pee to cheat the system. Aside from illegal drugs, they are also doing this to hide their use of performance-enhancing drugs. Other reasons to use artificial urine are to hide a medical condition and to deceive insurance companies. Most fake urine brands have small text disclaimers in their packages that the item should not be used for illegal purposes, however, it is quite obvious that this is not what’s happening. Sale of synthetic urine is legal in the United States with it being banned only in Indiana and New Hampshire. Two more states – Mississippi and Missouri introduced bills to make this item illegal. These moves were done to deter people from using artificial urine, but it somehow had an opposite effect because now, people are more convinced fake pee is effective if the government is trying to regulate its sale. People who are dabbling with drugs will often go to great lengths to hide their habit. This is the reason why the use of fake pee is becoming more popular. While drug users indulge in the momentary high provided by these drugs, most of them are not yet ready to face the consequences of being found out, especially if they are trying to protect their career or hiding their substance use from their family. However, using artificial pee is not actually a foolproof process. Many laboratories and testing centers are becoming more sophisticated in detecting fake urine. It is not anymore as simple as filling a cup. The methods being utilized are now designed to detect fake urine. This means that if you’re planning on using synthetic urine, the chances that you’ll get away with it is not guaranteed. Plus, if you get caught, you might be faced with harsh consequences like being fined, getting fired from your job, getting disqualified from an event, and you can even get jailed for cheating a drug test. If you need to pass a drug screening, the best way to do this is to detox from taking these harmful substances. 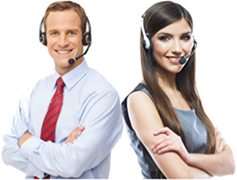 However, we understand that this process is not that easy to do. That’s why we are here to help. You don’t need to do it alone. If you or a loved one is struggling with substance abuse, contact Lighthouse Treatment Center to learn more about our specialized modes of treatment.